English is the most widely spoken language in the world, and being able to understand and communicate well in English is the foundation for any successful career. Although many learners speak English, they may not speak it well enough to effectively communicate what they mean and be accurately understood. English is the medium of instruction at most tertiary institutions, both in South Africa and abroad, which makes it essential for anyone aiming to study further after school. We have many skilled English tutors who have excelled in English at school, and some have continued to study it at university level. We can find one in your area to give your child the strong foundation they need for a future of communicating in English. “They’re just numbers and numbers can’t hurt you. Repetition is your friend; practise until you see numbers dancing in your dreams. “One of my favourite quotes is from Dr Seuss: The more that you read, the more things you will know. The more you learn, the more places you’ll go! “Once you have taken something complicated and turned into something simple, that’s when you have truly learnt. “With the right help, lots of practice and a positive attitude, Science can become your best friend! “Never be afraid to make mistakes, as they bring great opportunity to learn. “Read, read, read! The best way to learn a language and improve vocabulary and comprehension skills is from reading. Afrikaans is a very vibrant and descriptive language! “Know your formats, practice your Accounting equations, and revise your debits and credits. Only then will you have the perfect foundation for success. “When writing a story or narrative, try imagining it as a movie. What do the surroundings look like, or what would they notice as the story progresses? Details fill out a story. “The terminology in Life Science can very complicated. Break up the word into smaller parts and associate the parts with things you are familiar with. Visit our GET A TUTOR page and provide us with your area and subject requirements. We’ll connect you with one of our amazing tutors ! Everything has been finalised and you eagerly await your first lesson! At the first lesson, a Learner Needs Analysis will be conducted to establish problem areas and set learning goals. 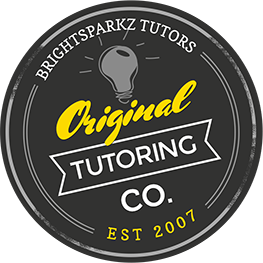 With over 10 years of industry experience, we will match you to a BrightSparkz Tutor that best suits your specific tutoring requirements!